It is the end of an era in our house. It is so quiet without Coco. We had to let her go on December 21. We did at home and the vet who helped us was an amazing, kind woman. Cocos vet office doesn't do at home euthanasia so they gave us this vets contact information. Coco never liked going to the vets office although she liked her vet so we didn't want to stress her out on her last day. She was able to go to the bridge and the spirit world in the comfort of her own home with her family. Although it was tremendously sad for us, it was very peaceful for her. And that is all that mattered. The last 6 months have been rocky. The mass that was removed last year came back. It was ugly and she wanted to remove it herself often to our dismay. Her back leg was always wrapped. It just became a way of life for us. It was a nuisance but it was not the issue. About a month ago she started to limp on her front left leg. She had a vet check and was given meds. It seemed to get better until the last week when it suddenly swelled up and was hard. I knew in my heart it was osteosarcoma which it ended up being diagnosed as. It was painful and she was at risk of breaking her leg. She was tired and had lost the twinkle in her eye. We did pain management for 3 days and then let her go. But in those 3 days she was loved and honoured by her friends and family. She had visitors every night who came to say goodbye. She was hugged and kissed and loved. We all cried and we all laughed as we remembered the wonderful life she had with all of us. She was honoured for being the great girl that she had always been and that we all loved. On the day of her journey I put tobacco down for her as I am of native ancestry. My friend who is also a native woman, drummed a traditional travelling song for her at noon when the vet came over. The kind vet helped her in her way while I held her in my arms. I have always promised her I would be with her until the end of her days and this was a promise I was thankful to keep. We had her cremated but do not yet have her back at home. In the spring I will release some of her ashes at the pond that we loved going to where we watched the heron and the beavers. We miss her everyday. She was the best mistake I ever made and she taught me so many lessons that i would not have learned if she hadn't come into my life. For that i am so grateful. Everyday of her life we played a game. She would nuzzle into my face and smile and I would say for her "I love my mama and my mama loves me". We did this on her last day as well because it will always be the truth. Bamapii Coco. You were so loved and you will be missed more than you will ever know. I'm so sorry to read this Coco Loco . I am so, so sorry to read this. I feel like I've known Coco for so many years...my heart is broken for you. You are in my thoughts and prayers. I'm very sorry to hear you lost Coco--but you gave her that last best gift that anyone can give their well loved pet--you let her go--softly and easily. Today I went back in time and reviewed each one of the treads Coco Loco initiated ......starting with your new member introduction. All the B-day updates and stories what an absolutely beautiful life you spent with one another. Last edited by LadyDi; 12-29-2018 at 10:18 AM. It makes my heart heavy to read this. I know Coco had the best of life with you, just by reading your posts. I am so sorry for your loss. Thank you everyone. We had a beautiful life together. I am so glad my hubby insisted on getting her!! I would have missed out on so much in these last 10 years. I have reached out to some breeders who are doing the right things this time. I learned my lesson and I vowed not to support a byb again. I vowed to do that for her when I learned years ago on this forum about the horrors of bybs. 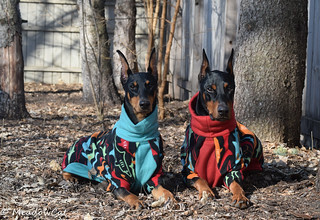 I sent an introduction email to the 4 breeders I reached out to explaining our situation and what we had to offer as a home for another dobe. We have a lot of love to give and I've learned so much in the last 10 years. I have heard back from 3 of them and spoken to 2 on the phone so I know our house will not be quiet for long. This I am thankful for. We were lucky with Coco. For most of her life she had excellent health. We just couldn't dodge the osteosarcoma bullet. I will honour her again when I am able to give a loving home to another lovey. dobebug, Beaumont67 and ECIN like this. My heart sank when I saw this thread. I'm so sorry. I'm so very sorry. And thank you for sharing the pics of your sweet Coco. I saw the title of your thread and my heart sank. But I think the fact that you are willing to open your heart and home again to another dog speaks to how wonderful your relationship with Coco was, and the wisdom and courage you showed in letting her go as you did. Aww thanks melbrod. That brought tears to my eyes but in a good way. And you are right that girl knew she was loved and that bond is forever. This is the most important thing! Last edited by LadyDi; 02-24-2019 at 09:55 AM. Thank you LadyDi. I have always loved that. 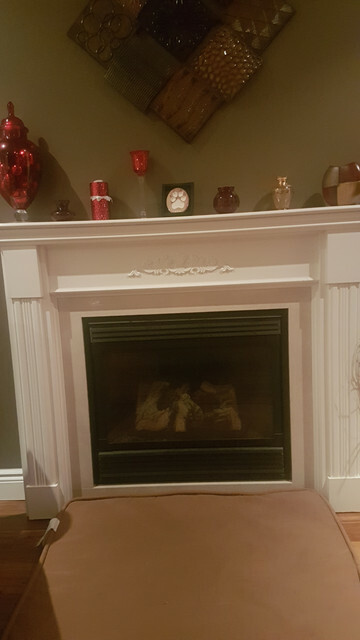 I have heard Coco walking around the house and shaking her ears. She is still doing her job making sure her family is ok. What a good girl. And I'm sitting her with Lionel Richie - My Love / listening on YouTube, playing in the background. I only got to the start of the 3rd paragraph...got to finish read, another day !! "go find our dear Coco friend"
Last edited by Beaumont67; 12-29-2018 at 11:38 PM. Oh no...so sad to see this thread. I'm so sorry for your loss. RIP, sweet Coco. Coco Loco- RIP your sweet Dobergirl, Coco. Your last few months with her were very traumatic. Thanks for being such a good Dobermom to Coco. "We have been so blessed to have you in our life since you were a wee little babe of 8 weeks." Thank you so much spocksdad for your kind words. I would have done anything for that old lovey and that's what was so hard. This time I couldn't. Except to let her go peacefully and make her pain mine. I wouldn't trade any minute I had with her and would do it all again. I'm so sorry for your loss. RIP Coco. I am so very, very sorry for your loss! RIP and run free sweet Coco! You will be missed! The old gal arrived back home last week. I feel more at peace with her back here. 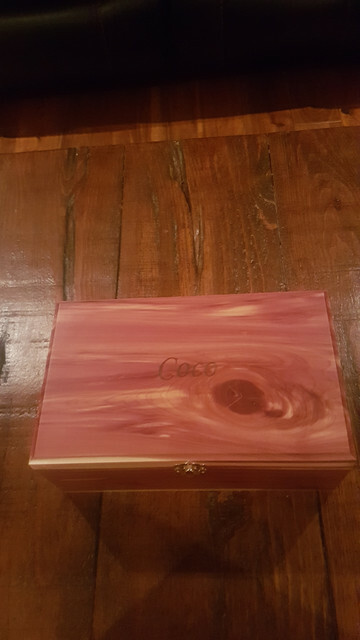 Coco will always have a place in our home and especially our hearts. We hear her around the house and it is bittersweet to know she is still with us but in a different way. I hope these pics work because I'm never good at these things. I haven't put all her things away yet because I'm not ready to and if things go well I won't need to. Run free my sweet girl and remember that mama loves you always. Cressrb, Beaumont67, 4x4bike ped and 1 others like this.